Dubai-based international airline Emirates has opened its new lounge at Rome’s Leonardo da Vinci-Fiumicino Airport, 0ffering greater levels of comfort and convenience. The lounge, which was officially opened today, is situated in departure Terminal 3, Level 2, close to gates E22-E24. Its new location offers views over the runway and a direct boarding facility onto the aircraft. It has nearly 950 sq m of floor space and seats 162 customers comfortably. 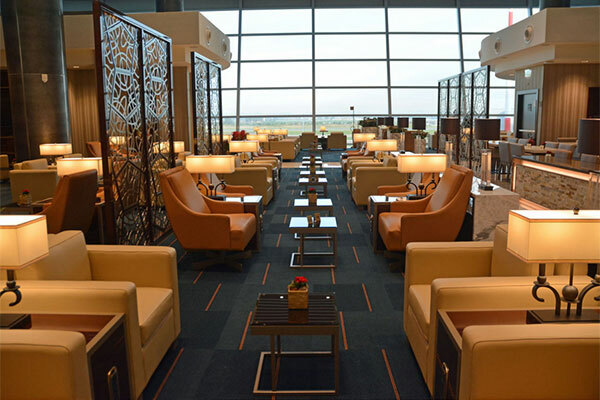 Emirates Skywards Silver and Skywards Blue customers can enjoy the lounge with paid access.